A perfect getaway is defined by its natural beauty and rich local culture. Rather oxymoronically, the greatest tourist destinations often face environmental ruin, as well as an unhealthy evolution of local culture. The need for sustainable tourism is greater now than ever, and is capable of preserving a destination’s unique culture while preventing the loss of its delicate environment. Song Saa Private Island is a world-leading sustainable resort and one of the first luxury ecotourism destination in Cambodia, dedicating itself to the preservation of the surrounding Koh Rong Archipelago. A steady stream of forward-thinking programmes assist local communities in furthering themselves through education, skill training, and sustainable living practices. 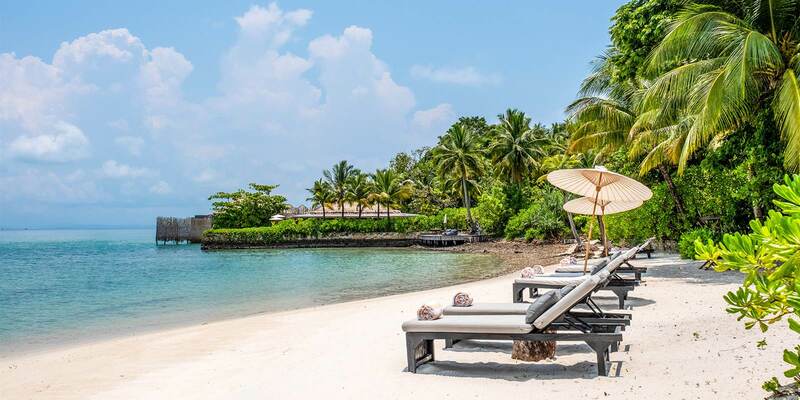 Sustainability plays a crucial role in every element of Song Saa Private Island, but it does not detract from the luxury afforded to guests on the stunning island resort. The rare tropical island getaway boasts a pristine private beach, spacious wooden villas, spa facilities to die for, and a preserved coral reef, leaving guests to enjoy the simple-yet-priceless amalgamation of luxury, serenity and a deep connection with the environment. Song Saa Private Island is an eco-friendly travel destination that is constantly in search of new ways to enrich the environment and communities it interacts with, while providing the perfect eco-friendly holiday destination. The Song Saa Foundation lives up to its promise of community development by raising funds to support hundreds of local children’s school supply expenditure, as well as providing sufficient medical attention and support to the remote area; partly aided by guests who sacrifice packing space to participate in the volunteer travel platform, Pack for a Purpose. In line with its promise of being an eco-friendly resort, Song Saa Private Island staff embark on plastic recovery and beach cleaning expeditions twice a day, with guests more than welcome to participate if they so desire. An alternative cathartic ecotourism activity is afforded to guests who partake in kayaking or sailing, with Song Saa staff offering guests reclamation bags crafted from recycled fishing lines, aimed at collecting stray debris encountered in the water, which will then be recycled by the Song Saa team. Staying true to its sustainable tourism development ethos, Song Saa Private Island has been a strong proponent of the Refill Not Landfill cause, with merchandise and water bottles available in the eco-friendly resort island. Through the Song Saa Foundation, the eco-destination strives towards the protection of ocean habitats and marine life throughout the Cambodian coastline. Song Saa’s marine life commitment is of particular focus, considering the lavish resort is surrounded by Cambodia’s first marine park. Ongoing projects range from the support of community fisheries, development of a coral nursery, and a tropical marine conservation programme. These causes champion the conservation of sea turtles, mangroves, and Cambodia’s rare seagrass meadows. Song Saa Private Island is proud of its efforts, and tailors a Sala Song Saa experience which affords guests the opportunity to join the conservation team for a tour of Prek Svay village on the neighbouring island of Koh Rong to observe and participate in efforts to support the local community. Song Saa provides an alternative experience via the Boat of Hope, which presents guests with the unique opportunity to tour the archipelago on a yacht to experience the Song Saa team’s efforts to provide dedicated education workshops to local children. There are few ecotourism holiday destinations that live up to the luxury excursions and sustainability efforts of Song Saa Private Island, with activities ranging from leisure to volunteer work available to all patrons. With the efforts of the eco-friendly resort and the Song Saa Foundation, the Koh Rong Archipelago community and the environment is thriving more than ever before. Follow Song Saa Private Island and the Song Saa Foundation on Instagram if you are intrigued by an experience of a lifetime. Song Saa Foundation values your contributions to support our cause. Support us & help further our impact. Keep informed: Your sunscreen might be destroying our coral reef!! Not a widely known fact but the chemicals found in most major brand sunscreens kill the micro-organisms and marine biology in corals our oceans. Below are a few products to keep you protected that we can endorse.